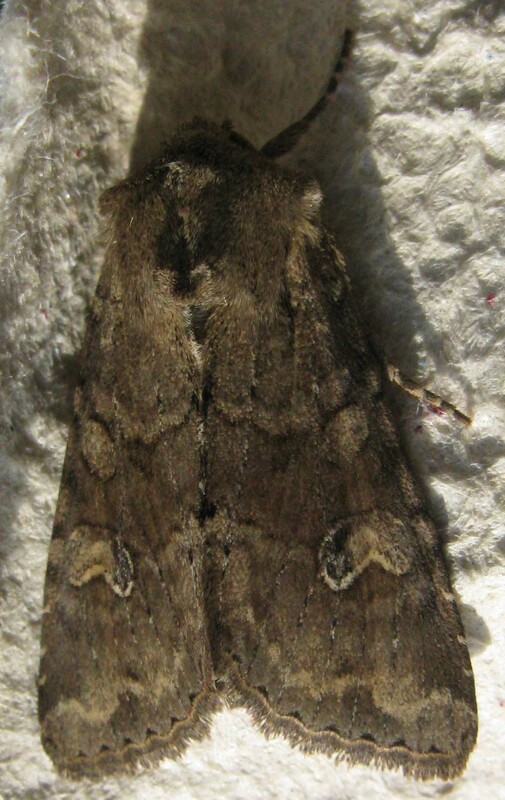 Forward to 8 June 2014 moth page, back to 4 August 2013 moth page, to general moths page. a Rustic Shoulder-knot (previously photographed here). Others in the trap included six Shuttle-shaped Darts, five Heart & Darts, two Setaceous Hebrew Characters, one Bright-line Brown-eye and one Stenoptilia/Platyptilia.